We host a number of occult artists and writers at the BLK Kompound as they come to town for the Seattle Esoteric Book Conference. This kept us busy before and after the event, but it was a joy to have our friends near. The 2012 EBC was an absolute delight to attend, and we will get to work on a review for you to read in time. We now need to make room on the walls for new works by Liv Rainey-Smith and Hagen von Tulien. 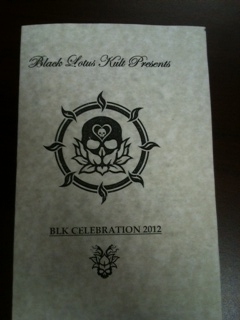 Following the EBC, we held our annual Black Lotus Kult Celebration. This year’s party was held in honor of Fulgur Limited’s 20 years of publishing. 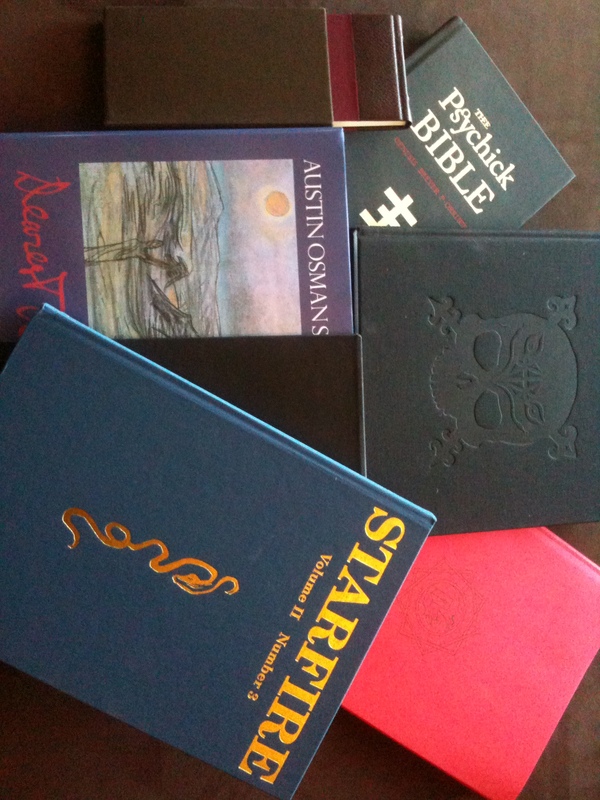 We are proud to have their books in the BLK Library and we are looking forward to another 20 years from Fulgur! Earlier in the day of the BLK Celebration, before the festivities, we performed a version of the Shiva Mass that we received from Michael Bertiaux. 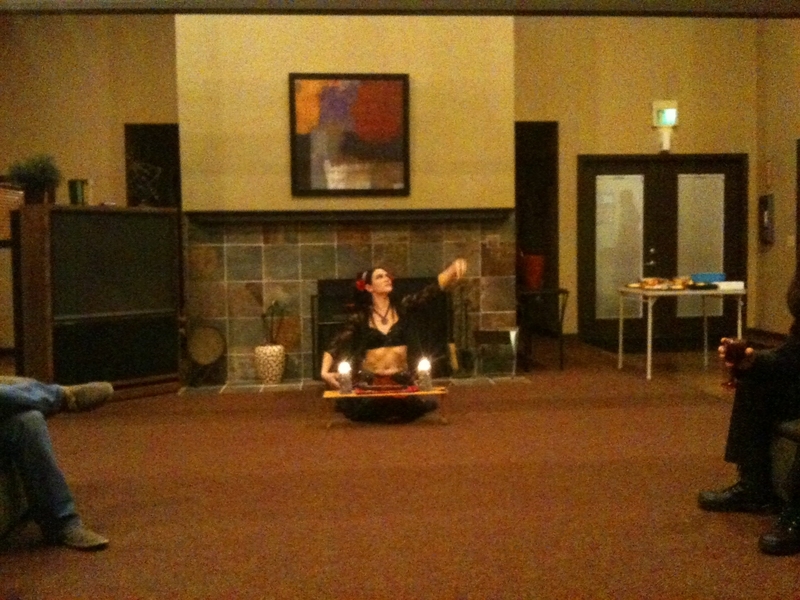 In this picture from later in the evening, Kindle Cimmerian performs a Mass closing ritual. After the Celebration, we found a VERY secluded retreat for our Autumnal Equinox workings. Now we are back home, and ready to start work again. New music, writings and performances will be coming soon and increasing in frequency in the New Year. We will also be posting more pictures from this, and previous year’s BLK Celebrations. Keep an eye out for updates on the BLK Facebook page and Twitter.